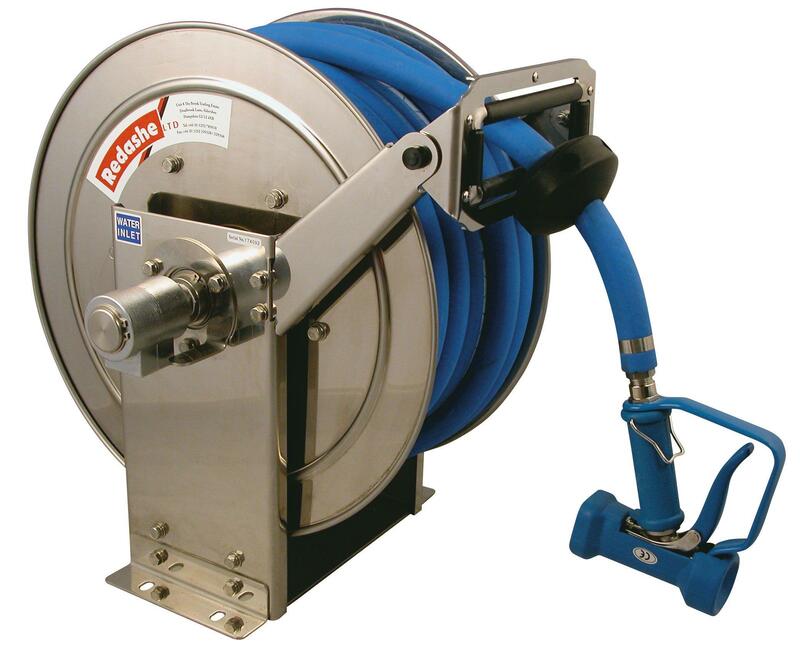 Stainless steel, high capacity spring rewind hose reels. Constructed in heavy gauge 304 grade stainless steel, offering strength performance and reliability, along with a professional and modern look. They are ideally suited to wash down, in food processing, marine & offshore applications.